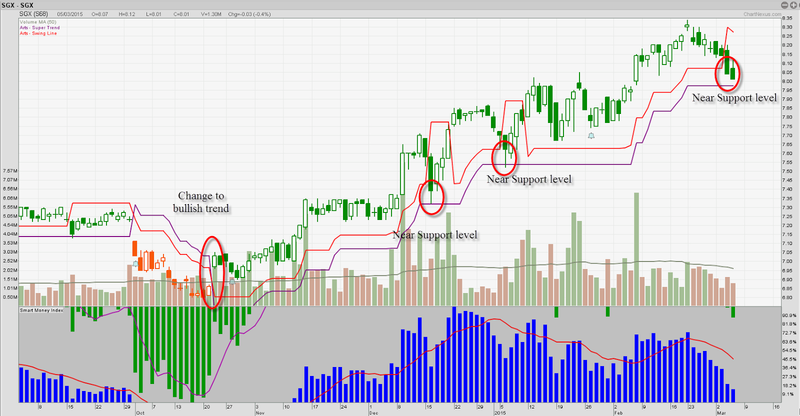 SGX currently on a mid term uptrend, resting near support. Some of the short term trader might like to trade this setup as the stoploss is small/near, below $7.92. This strategy is to buy an uptrend stock at a cheaper price.